Does your chronic daily headache treatment look like failure after failure? Do you remember what it’s like NOT to have a migraine? If not, this page just might hold your solution. Here are some things worth trying that might just shake up those relentless headaches. Research is showing that most chronic daily headaches are from medication overuse. Is that you? If it is, I have some tips below for what to expect from your doctor in the way of help. Perhaps it's something else... so let's take a look at some tips from an integrative neurologist for a more natural approach; hydration; digestion; and histamine intolerance. Then we'll talk about THE PLAN! But first... this is from one of my readers who wanted to share her pain management strategy with you. 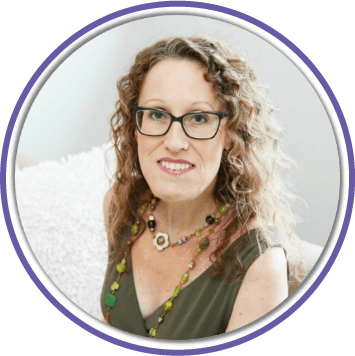 We've been discussing her chronic daily headache treatment that she has finally found success with using some small tweaks to her routine and supplements. 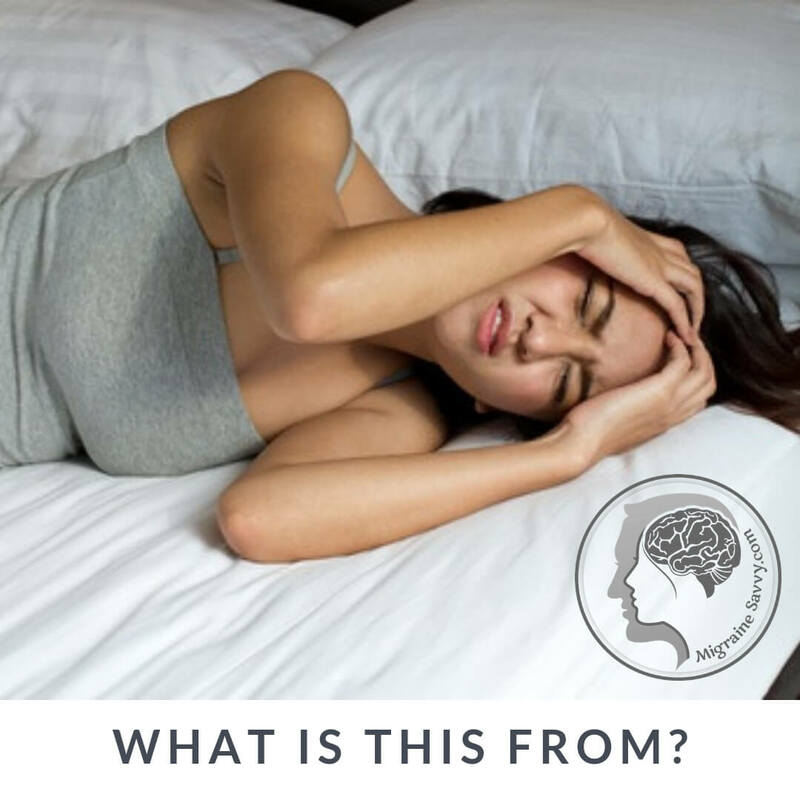 I've been working with an integrative neurologist to get a handle on my headaches, which seem to act like chronic daily tension headaches (she said they weren't classically migraine or classically tension), but they seem more tension to me, and are pretty much there all the time. It meant I had to stop work, and that was a financial disaster. One I do not care to repeat. A lot of these take 4-6 weeks to really have an effect (except for White Willow, which usually kicks in after a few hours). And of course it's important to check with your doctor to make sure there are no interactions, etc. with whatever meds you may be taking. I have been pain free for two months now. It has been a Godsend, but I am living in fear of going back there. I know you know that feeling. Like a constant low grade anxiety. Thanks for your support. What Else Could It Be From? Your solutions will come from experimenting and knowledge. Like staying hydrated is not just about water. Did you know that? I didn't. I though just drinking enough water (2 liters or 8 glasses day) was enough to stay hydrated. But it turns out it's not according to Angela Stanton, PhD. 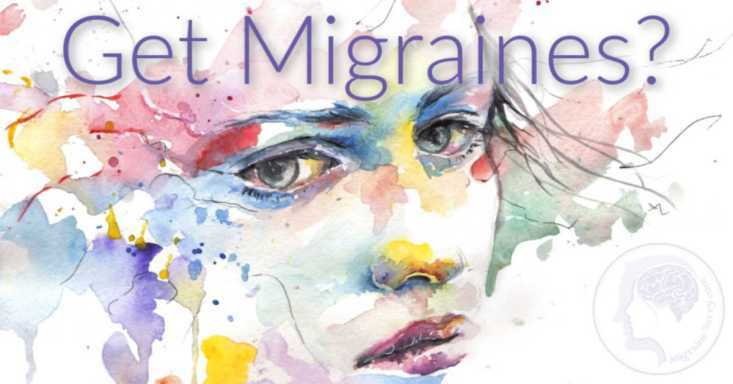 In her book Fighting the Migraine Epidemic she uncovers the delicate balance us migraine sufferers need to maintain in order to be migraine free. There is hope to stop constant attacks and daily headaches. But it's not an overnight thing. You will need to learn to balance and maintain your electrolytes and ... well I can't give away the secrets, can I! 1. 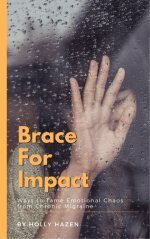 Buy the book or ebook, it has all the links you will need. Oh and read it ... yes! 2. Join her Facebook group. 3. Talk with her directly. She has a list of questions for you and will help you find your way. 4. Track all your food with Paleo Track or any other free website that will help you balance your potassium and sodium. Remember, this is not an instant cure, there is a huge learning curve involved. But wait til you see all the success stories on her Facebook page. I was overwhelmed at first, but everyone was so helpful. I had my first stretch of seven days with no migraine. That is a record for me. And I've managed to stop the last three attacks from happening. YAY! 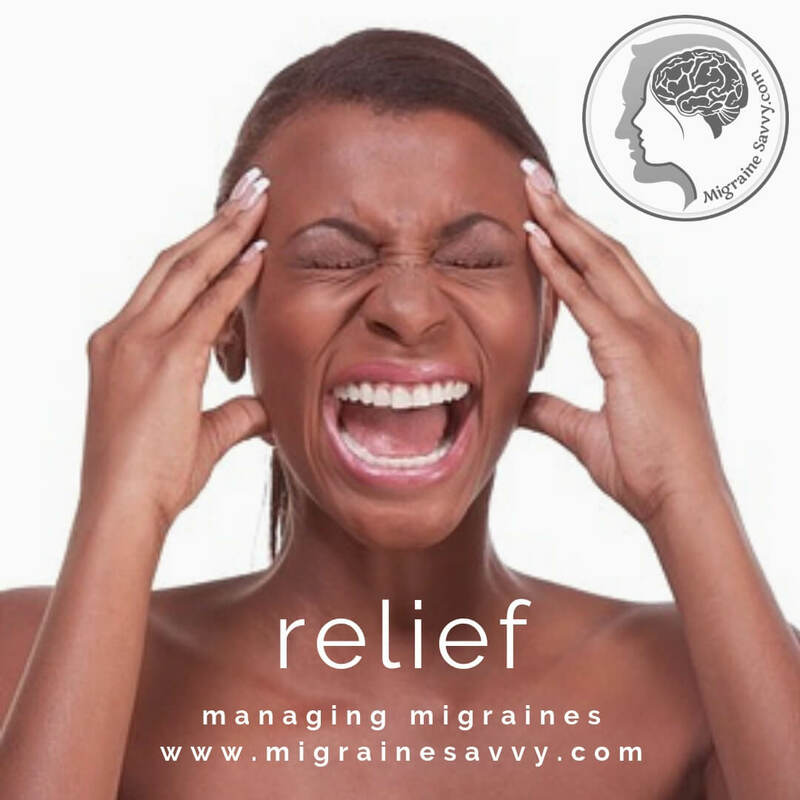 Imagine a migraine free life. 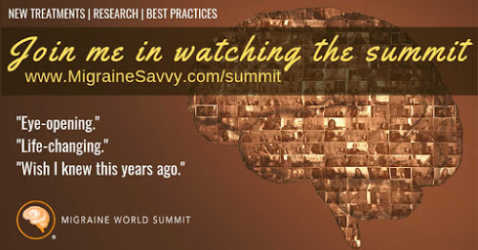 If you want to add this to your chronic daily headache treatment plan - here's the link - Fighting the Migraine Epidemic. I'd love to hear your results. 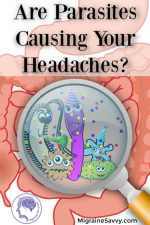 Poor digestion can cause chronic daily headaches. If you get heartburn often or undigested food in your stool, you may want to talk to your health care professional and see if any of these supplements below might be a good option for you. Your stomach needs HCL (Hydrochloric Acid) to process your food. Many people think they need to reduce it, but in fact many of us need to increase it. I take Betaine and some enzymes before each meal. I also take Biogest that also has HCL with ox bile. This is good if you have gallbladder problems. These broke up my long ten day migraines into three or four days. Not gone, but I gained a day off. This post on digestion problems covers the basics of digestion and has a lot of information on what else that might look like for you like flatulence or bloating. Do You Struggle With Histamine Intolerance? What time of day do your headaches start? Do you wake up with it, or do you get your headache after eating? Getting one after you eat might mean you have a histamine intolerance (HIT). I know that sounds like an allergy, but it's not. It is a food sensitivity, but just as important in my opinion. Perhaps not enough to send you to the emergency room, but enough to complicate your health in many ways. Other histamine reactions besides headache and migraine look like: abdominal cramps, sneezing or wheezing, flushing, hives, fatigue, anxiety, low blood pressure and dizziness, just to name a few. If you experience constant daily headaches, this supplement called Diamine oxidase (DAO) might be worth trying. Don’t develop a fear of eating on top of the daily headaches! Find a way to create a chronic daily headache treatment plan with your doctor that stops them. Your histamine level can be checked with a simple blood test. But be aware that your result might not reflect the whole story. You can react to eating high histamine foods, or to the histamine your body releases to aid digestion. Some foods contain higher levels of histamines than others. I have 2 lists at the bottom of this page you can print out. An enzyme called Diamine oxidase (DAO) is needed to process it. Without the enzyme, you can’t fully process the amount of histamine released. When you can’t process the amount of histamine being released, it can become a migraine trigger. There are a few supplements on the market with DAO, so check with your doctor to see what their results have been in the past. Amazon has a supplement called Histamine Blocker and Histame that you can take 10 minutes before you eat. Histame is a smaller dose than the Histamine Block. The complete details are on this post - Get A Headache After Eating? Could Be Histamine Intolerance. 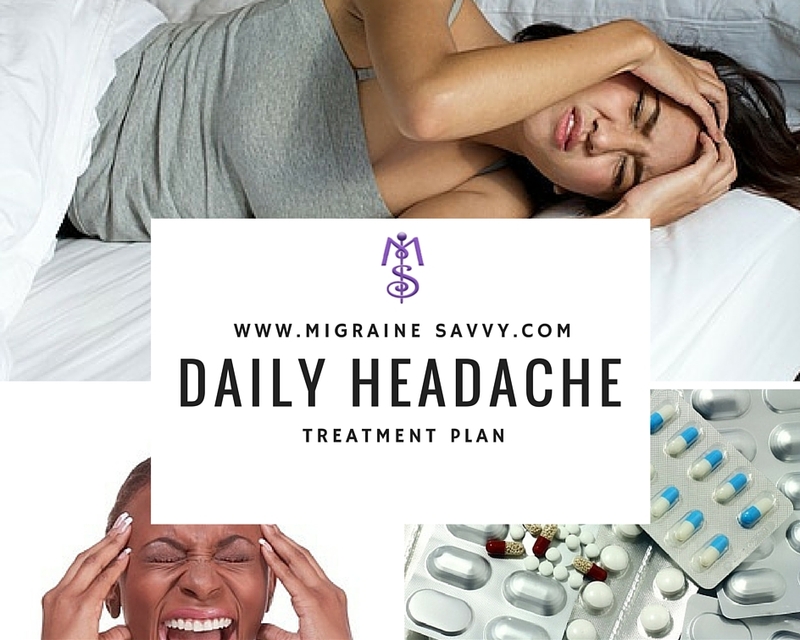 So it's easy to get, but work with your doctor to build a tailored chronic daily headache treatment plan in case these things make no difference! Options equal choices remember. 1. Get the right diagnosis with the appropriate testing to exclude any life threatening or secondary disorders. 2. Categorize headache as your primary disorder. 3. Identify any exacerbating or sustaining factors. 5. Assess current acute therapy. Monitor current medications and note past medications. Provide detailed instructions like medication(s): dose, typical response, side effects, costs, success rate, etc. 6. Direct you to detoxify from overuse medication if required. 7. Assess past attempts of preventive therapy. 8. Formulate an action plan with acute, preventive and lifestyle components. And help you set realistic goals. 10. Initiate follow-up to determine and ensure treatment success. Refer you to a neurologist, board-certified headache specialist or a specialized headache center. 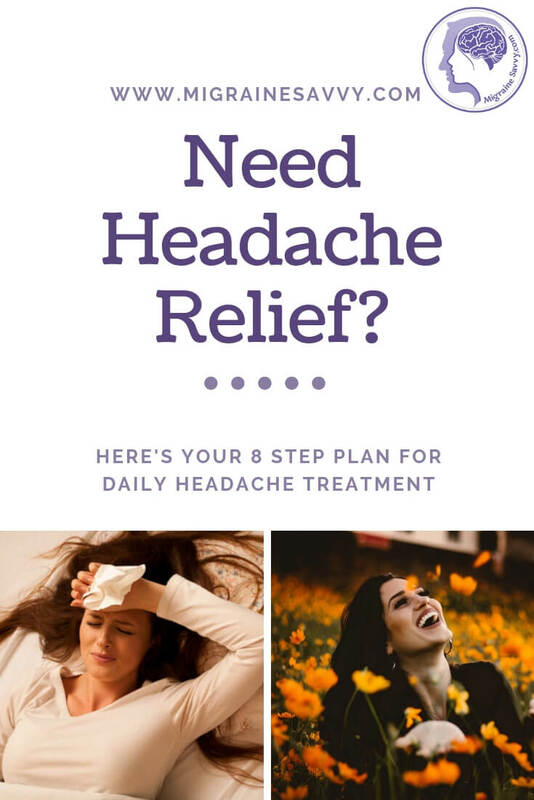 Here are 8 steps to get you on your way to a good, effective, chronic daily headache treatment plan. Don't wait to start this... chronic daily headaches can just get worse when left untreated... so don't ignore them. Book an appointment with your doctor to get the right diagnosis, or get the referral you need to see the right specialist. This is always my number one. Find out what the constant headaches are from, if you can. The right treatment will depend on the right diagnosis. While you are waiting to see the doc, keep track of what you eat in a food diary to help determine if there is a pattern with high histamine foods. If you or your doctor think the headaches might be structural, seek professional help from a physiotherapist that specializes with headaches. Don't just see any physio, call around to some pain specialists and see who they recommend. Surely getting a name could be free... no harm in trying. You can get a histamine blood test done with your primary care physician. And then, if s/he says to - you can trial the DAO supplements to see if they work for you. Your doctor can tell you what dose to start with. You can buy the Fighting the Migraine Epidemic ebook for under $5 US, or so, on kindle and experiment with proper hydration within minutes of downloading it. Your doctor might have you experimenting with different medications as part of your chronic daily headache treatment. 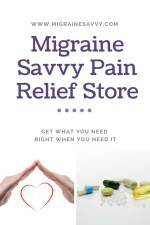 Ideally it would be best to find a few different things that work, so you can use them on a few different migraines to avoid overuse of one particular medication. But this is hard. Once you find what works it's difficult to switch to something else or wean off it. But finding effective chronic daily headache treatment or stopping them all together may require such a sacrifice. You can also experiment with the things I mentioned above: proper hydration, a low histamine diet, different doses of DAO and some stomach digestive enzymes and HCL. 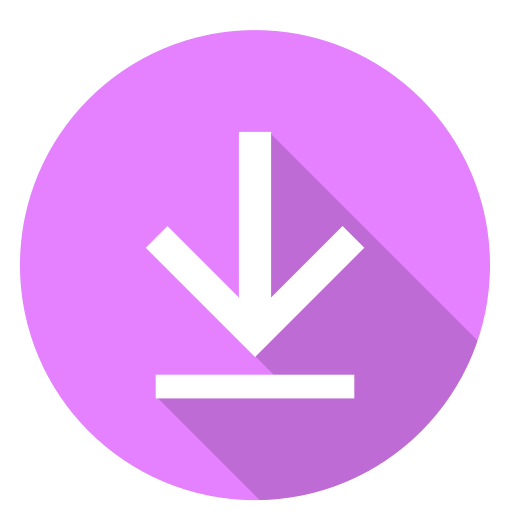 Click here to download and print the PDF for the medication tracker. And... keep track in a journal and make sure you show your doctor to find any common patterns to develop your chronic daily headache treatment plan. In case you need to see a few different doctors, it's a good idea to keep all your blood tests, test results, and your tracking notes from above - all in one place. A binder might do the trick. This way, everything you need to provide answers is there. Test, track, rinse and repeat. 1. My doctors Rx Histamine Diet PDF form for you to print out. 3. 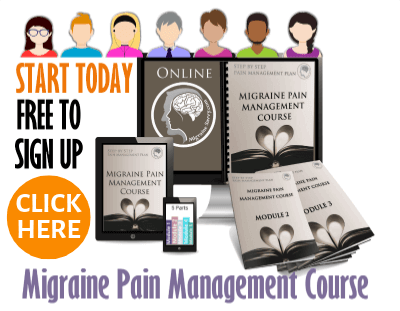 Read the DAO for migraine prevention study. 4. How to Treat a Migraine with Ice and Heat. 5. Keep A Migraine Diary and Keep Your Sanity.